Date: 3.05.2018 | Reggae, RnB, HipHop, Mash-Up, Rap | Tags: Gold Pack, Manuel Rivas, Avetikian, Manuel Rivas DJ, Cosculluela, Dj Kass, Far East Movement, Nicky Jam, Bad Bunny | Download Manuel Rivas & Avetikian Gold Pack (May 2018) for free. Manuel Rivas is part of the collective of Djs Rumbatrip, specializes in making mashups, bootgles and remixes of songs from Rock, Drum & Bass, Reggae, Hip Hop, House and especially, its genres in which it is characterized as the Big Room and the Jungle Terror. With a variety of genres in their live sets becoming more and more energized thanks to their edits that give a more attractive touch to the hits of electronic music of the moment, achieving a total connection with the audience. Manuel Rivas DJ Remixer electronic music. Known for its multiple mashups. Dancehall, Big Room, Jungle, Dubstep, Trap and more! 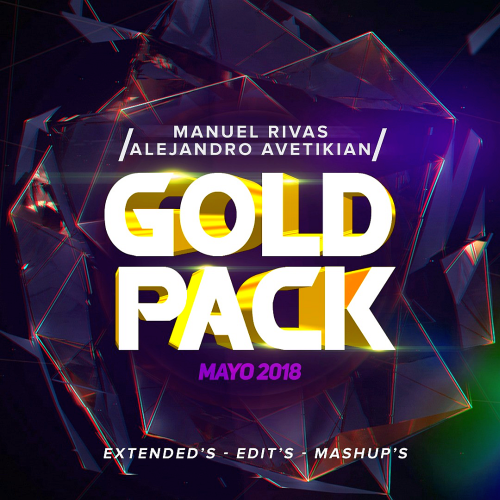 A unique publication of Manuel Rivas & Avetikian Gold Pack May 2018 Music.